Looking to upgrade your culinary skills, learn to make local cuisine or just have a fun evening with friends? Here are some of the best cooking courses on offer in Cape Town. 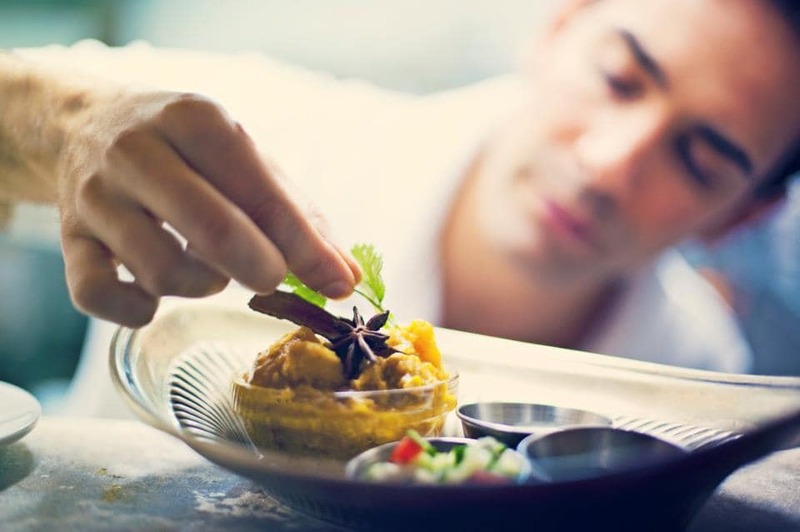 You have two choices when it comes to making real Cape Malay cuisine in the Bo-Kaap. Cape Fusion Tours offers a variety of cooking experiences, including Cape Malay cooking in the Bo-Kaap. The Bo-Kaap Cooking Tour with Zainie Misbach is another option. Both are half-day courses, and they take in some local history on a walk through the Bo-Kaap, as well as a visit to Atlas Spices, before heading to a local home to cook. You’ll get to make rotis from scratch, samosas, traditional Cape Malay curry or bobotie. Book your Bo-Kaap Cooking Tour, or your Cape Fusion Tour. At Masala Dosa you can learn the art of blending spices and create your own unique curry mix with their fun and creative approach to the art of Indian cuisine. You’ll get to take home a little recipe booklet and your spice blends. Once you have completed the first class you can go back to make Paneer, Puri bread, and spiced green tea! Classes can also take place in the comfort of your home or garden. Book your Masala Dosa cooking course. Food Jams are not really cooking courses, but social gatherings where you are paired up with friends or strangers at a food station and given one of Jade de Waal’s magical recipes to prepare for the group. The delightful and very passionate Jade dreams up most of these concoctions, and you’ll find yourself making things you’ve never even heard of. It’s an absolutely joyful and delicious way to spend an evening! With cooking courses like plant-based, asian fusion, tantalising Thai, authentic Italian, and healthy Mexican courses, there’s always something different to look forward to in Denise Levy’s kitchen in Fresnaye. A self-taught cook, Denise’s personal specialties include sauces, marinades and dressings that complement the cuisine she prepares. Denise and the team’s focus is very much a passionate and fun approach to food. The cooking classes are relaxed and very interactive. As a student you leave with a full tummy and a recipe booklet. Cooking experiences often include renowned chefs like Matt Manning, Liam Tomlin, and Niell Anthony – so you’ll get to rub shoulders with some proper foodies too. Book your Ginger and Lime cooking course. 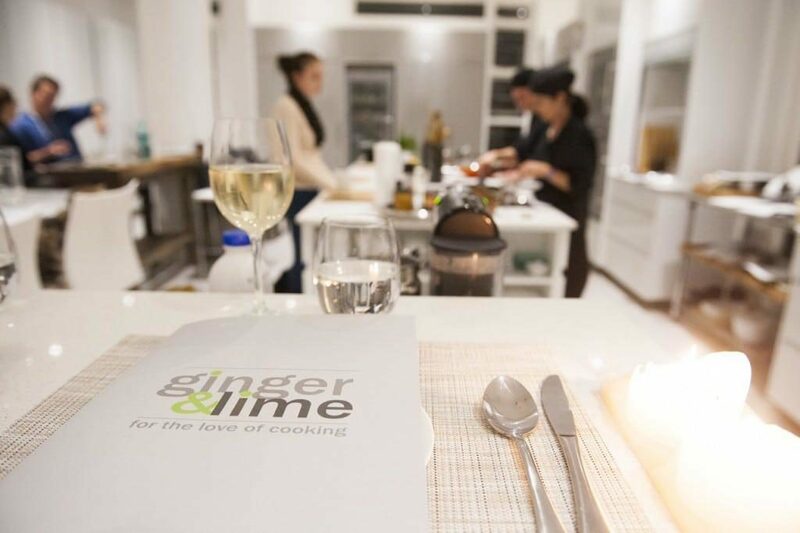 Ginger and Lime cooking courses. Image by Adrian Shields. The Stir Crazy Cooking School aims to teach new kitchen and entertainment skills and in the process, have as much fun as possible! They offer specialised cooking courses such as one-off singles evenings and weekend courses. The classes are intimate and interactive and new themes are regularly introduced. Past sessions include Dim Sum making, Vietnamese and Cambodian cooking, Banting creations, and preparation of Moroccan cuisine. Depending on the number of people attending, cooking classes may be hosted as a demonstration class, but will include volunteers to assist the chef in preparing the evening’s meals. The aim is to ensure you get the most out of the event, as well as first-hand experience on how each meal is prepared, highlighting the tricks of the trade. Book your Stir Crazy cooking class. 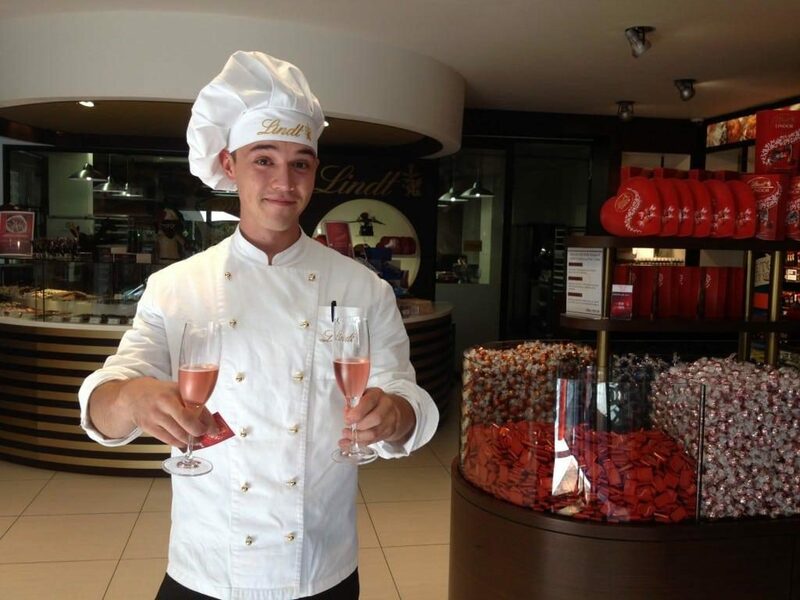 Become a real chocolatier – or just have all the fun at the Lindt Chocolate Studio where you can learn everything from truffle making and the art of cupcakes to more serious feats like chocolate tempering and décor moulding. There are also themed lessons for occasions like Valentine’s Day and children can visit to make their own creations for Easter and Christmas. Book to become a chocolatier. Chef Nadin Pospech hosts cooking lessons aimed at beginners and enthusiastic food lovers who want to experiment with new dishes and learn some tricks and tips in the kitchen. You can choose to do extended courses of 4-6 sessions or join her once-off themed classes that cover everything from Mediterranean and sushi to vegetarian and gluten-free cooking. Students are also welcome to bring wine and drinks to enjoy while they cook! Book your Top Nosh course. Nadége is from Normandy in France, and her courses take their recipes from the region. You’ll learn to make traditional, authentic French classics such as moules marinières, tarte flambée, coq au vin, boeuf bourguignon, tarte tatin, or crème brulée. You can also customise the menu with French dishes you’d like to learn. She can take between two and 20 people, and you can bring along your own wine to pair with the dishes. She even does an “aphrodisiac menu” for two, which makes for a great romantic evening. Book your course with Nadége.